If you are a Target shopper, you are likely watching your debit or credit card account closely these days. This is a good start, but there are other important steps you can also take following the retailer’s massive data breach, now estimated to have impacted at least 70 million customers. 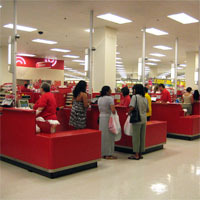 The data breach occurred at Target’s retail stores between Nov. 27 and Dec. 15. Hackers stole customer names, credit and debit card numbers, the card’s expiration date and CVV, the three-digit security code. Online holiday shoppers were not involved. Monitor your accounts. Be vigilant and monitor all your financial accounts regularly over the next 12 to 24 months. If you notice any irregular activity, notify the credit card issuer or your bank immediately. Make contact now. Ask your bank or credit card company’s fraud department to also closely monitor your account. New card and account number. Ask your bank or credit card company about changing your pin number and whether you should have a new card issued. Contact Target. The company says customers have zero liability for any fraud resulting from this data breach and are offering free credit monitoring and identity theft protection for impacted customers. Learn more. Obtain your credit report. You are entitled to one free credit card report each year from one of the three major credit bureaus, Equifax, Experian or TransUnion. One-call fraud report. Call any of the three major credit bureaus and place a one-call fraud alert on your credit report. This requires creditors to contact you before opening any new accounts or increasing your credit card limits. The fraud alert will stay on your account for at least 90 days. Extended fraud alert. If your credit report reveals suspicious activity, you can file a report with your local police department and have an extended fraud alert placed on your credit report. This will provide additional protection for seven years. Security freeze. You also have the right to place a security freeze on your consumer credit report. This stops consumer-reporting agencies from releasing any information in your credit report without your express authorization. Beyond the financial risk, identity theft can create many hours of work for victims trying to straighten out accounts and identify where breaches occurred. Read the resources below to learn how to protect yourself. Identity Theft, Federal Trade Commission. Lost or Stolen Credit, ATM, and Debit Cards, Federal Trade Commission. Protecting Against Credit Card Fraud, Federal Trade Commission. The Boston personal injury lawyers at Breakstone, White & Gluck have over 100 years combined experience representing injured clients in Massachusetts. If you have been injured, it is important to learn your rights for seeking compensation. For a free legal consultation, contact us at 800-379-1244 or 617-723-7676 or use our contact form.